Our datacenters operated by parent company ISPpro Internet KG are connected via redundant fiber uplinks to the Internet. 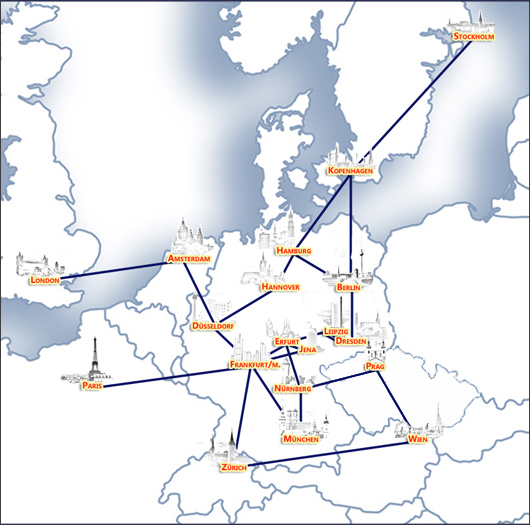 EUserv operates to its own European ring-network with POPs in Frankfurt, Erfurt, Jena, Berlin and Amsterdam. The routing is via our own BGP4 autonomous system (ASN 35366) possible. Our network is IPv4 and IPv6 available upon request. If you want your own private IP network on our server give us a call.